Born in East Lansing, MI, MICHAEL GARNETT has been active as a composer, conductor, and performer throughout the Greater Lansing area. He was first drawn to music at age 10, and has taken piano and composition lessons since then with Dr. Marjan Helms of the MSU Community Music School, and with Dr. Reinaldo Moya at the Interlochen Summer Music Camp. 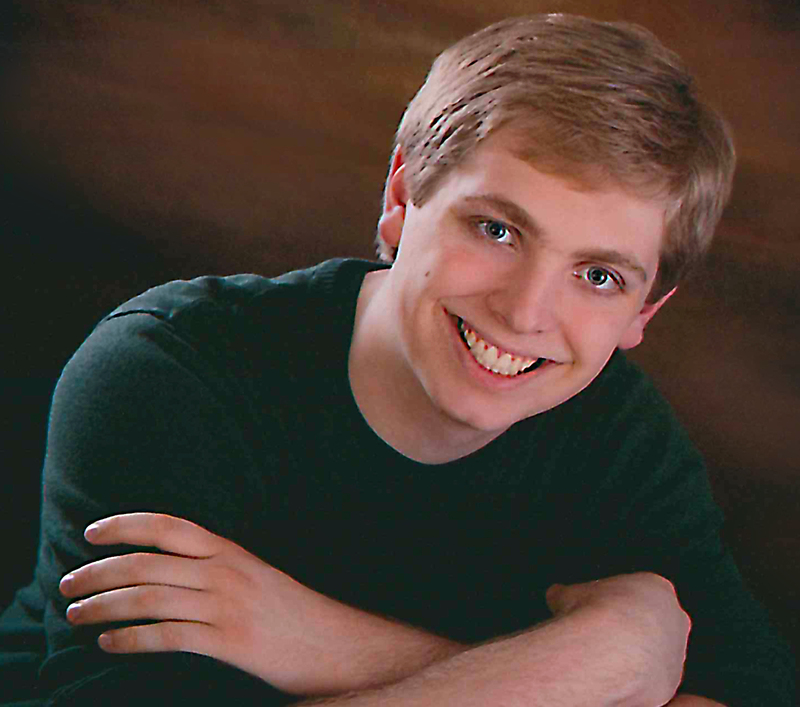 During high school, he was a very active participant in the Haslett Choral Program for 6 years, especially with the Haslett Chorale and Men’s Chorale, directed by Erich Wangeman, and with the annual musicals, where he orchestrated the scores to all 4 of his high school musicals. Garnett has held various positions in numerous ensembles throughout the area, such as Principal Viola in the CMS String Ensemble, and Principal Viola/Conductor of the Friday Strings Ensemble. Garnett’s compositions, arrangements, and orchestrations have been featured in many concerts and performances throughout the state of Michigan, many of them with the Haslett Choral Program and at the Interlochen Center for the Arts. He’s had several conducting engagements with the same organizations. His crowning achievements came in April 2009, when, in 8th Grade, he orchestrated “Spirate, Pur Spirate” for the Michigan School Vocal Music Association’s #1 Vocal Soloist, who performed the song with the orchestra at the 2009 Michigan Youth Arts Festival, under the baton of Antonia Joy Wilson, and in 2013, as a surprise for outgoing director Erich Wangeman, Garnett directed over 100 students, alumni, and staff of the Haslett Choirs in a performance of his “A Tribute to a Dear Mentor, Teacher, and Friend.” Currently, Michael is pursuing a Bachelor of Music in Composition from Michigan State University, with Dr. Mark Sullivan and Dr. Ricardo Lorenz as his principal teachers, and is studying conducting with Kevin Noe, MSU Director of Orchestras. He hopes to one day be the Music Director of either the New York Philharmonic, or the Chicago Symphony Orchestra.